A design fiction exploration of the expansion of the dopamine and transformation economy. A look into the possible future based on the technocratic management of emotions, using design fiction methods. Work in progress at Idean UK. On the relationship and influences of design on cultural identity, and vice versa, in an evolving global culture. This research was first initiated in 2011. It explored preliminary thoughts on the conservation and appropriation of culture in products, and the design decisions to choose which cultural norms to align to. 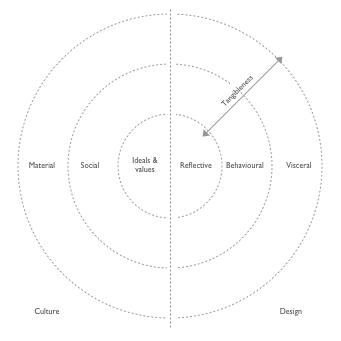 This was the basis on my MA dissertation, and focused on the design of physical products as the embodiment of societal/cultural values and ideas. In 2018, I'm revisiting the topic with a different outlook and investigating how technology and our ever changing context influences the wider discipline of design, and our identities.